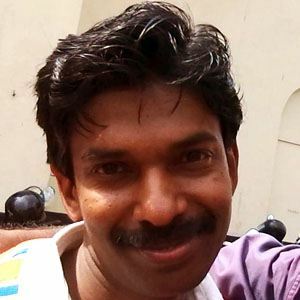 Malayalam filmmaker who gained national attention for creating his debut film, 2011's Krishnanum Radhayum, almost entirely on his own. Among his many credits on the film are actor, writer, director, editor, costume designer and singer. He was born in the village of Peruvannamuzhi and grew up in the city of Kozhikode. He appeared on the reality show Malayalee House and was voted off before returning to the show due to popular demand. He has been divorced and has a son named Navajyoth Pandit. He and Kamal are two famous Malayalam directors.